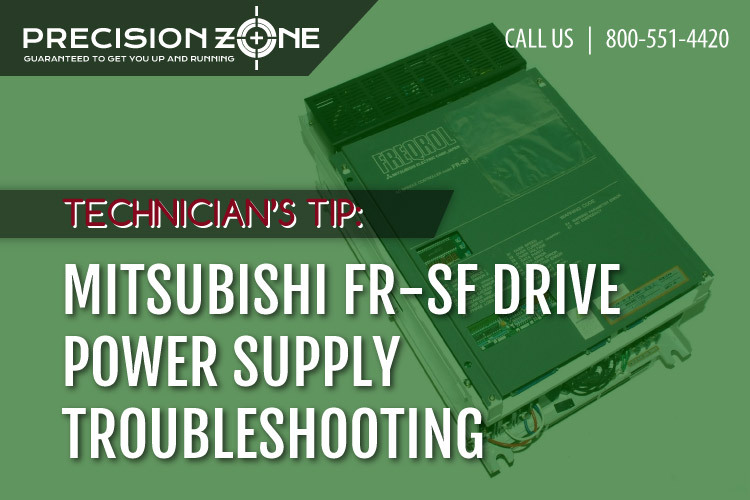 This is to determine the cause of why the FR-SF drive is not powering up and showing no LED display. Remove SF-CA control board from FR drive. Turn on power to drive. Locate yellow/amber LED on power supply. If LED is on, then the problem with power is with the control board. If LED is off, then power supply is the problem.